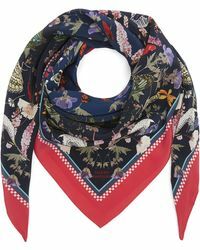 Based in London, Silken Favours offers a unique brand of accessory design that is both bold and delightfully creative. 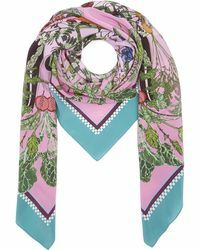 This edit of Silken Favours scarves hosts a range of hand-drawn, utterly imaginative designs which draw influence from vintage kitsch styling. 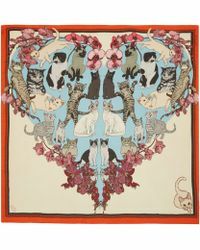 Luxe silk textures hold perfect portraits of all manner of kooky creations, with horses, roses, fruits and birds a frequent motif. 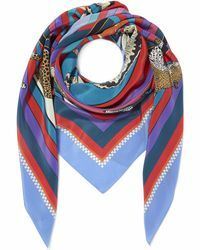 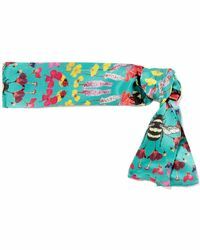 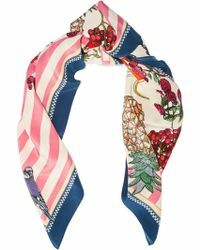 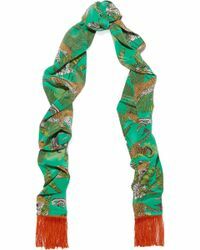 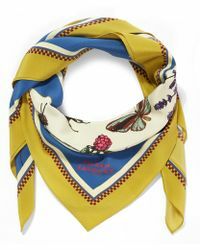 The perfect accessory to wear in the hair or around the neck for some fifties-style cool, Silken Favours scarves are geared towards any woman with confident, individual style.